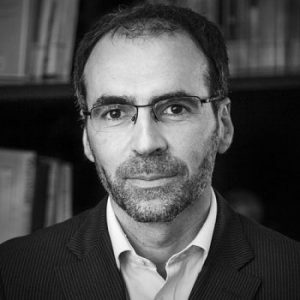 Rui Pinho graduated in Civil Engineering at the University of Porto (Portugal) in 1995 and then initiated his research career at Imperial College, in London, where he first obtained MSc and PhD degrees in the field of Earthquake Engineering. He then moved to Pavia in 2001, where he has held appointments at the local University, at the European Centre for Training and Research in Earthquake Engineering (EUCENTRE, ROSE School) and at the Global Earthquake Model (GEM) Foundation. Dr. Pinho has authored close to 300 publications, is peer-reviewer and/or editorial board member of 30 international scientific journals, has been guest speaker in a number of conferences, workshops and short courses, and is the recipient of a number of awards, including the 2007 EERI Shah’s Prize for innovation in the field of earthquake risk mitigation and management.